﻿ Best Price on Melia Coco Beach Puerto Rico in San Juan + Reviews! 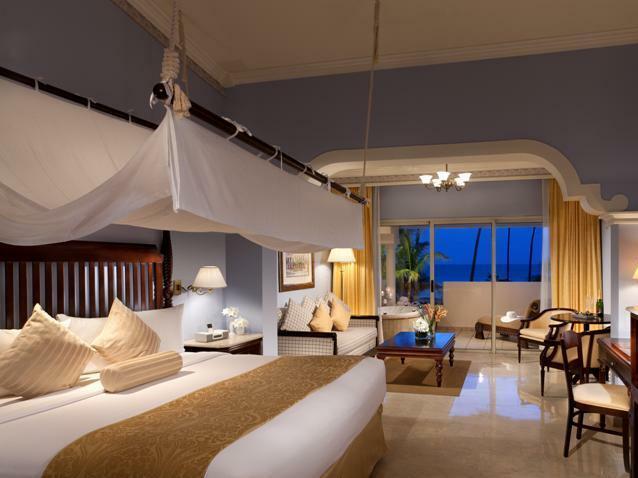 Have a question for Melia Coco Beach Puerto Rico? Set in a secluded location on Coco Beach, this luxurious resort offers peaceful accommodation just a few metres from the Atlantic Ocean. It features 3 tennis courts, 2 golf courses, a large lagoon-style pool, a spa and a gym. 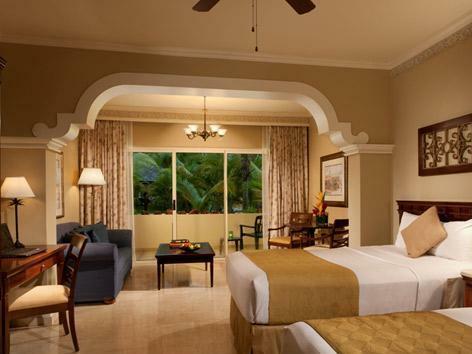 The suite-style rooms feature scenic views of the ocean, golf course and nearby rainforest. 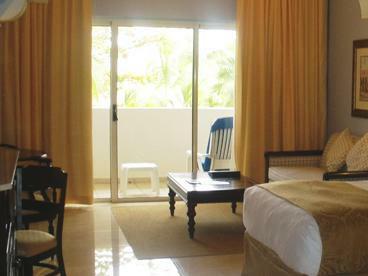 Melia Coco Beach Puerto Rico's rooms feature modern and elegant décor, with bold colours and mahogany furniture. There are several restaurants and bars to choose from at Melia Coco Beach Puerto Rico, featuring international and Caribbean cuisine and refreshments. The pool area is surrounded by Bali beds where guests can sip a refreshing beverage. Melia Coco Beach Puerto Rico has a large, lagoon-style pool with 4 integrated whirlpools that are surrounded by lush gardens. Watersports are available on the beach. Car and bike rental is available at the resort, which also offers an airport shuttle service for an extra charge. 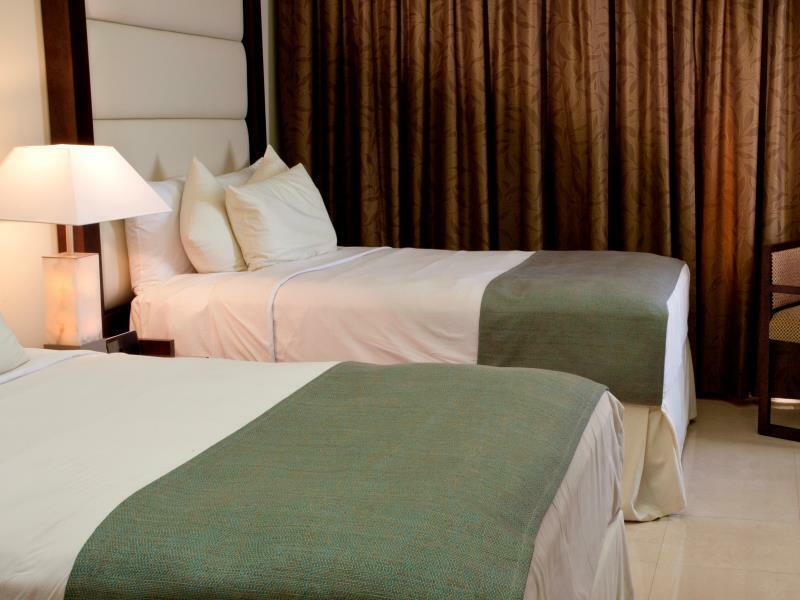 It is 30 km from Luis Muñoz Marin International Airport and 35 minutes’ drive from San Juan. Upon check-in photo identification and credit card is required. All special requests are subject to availability upon check-in. Special requests cannot be guaranteed and may incur additional charges. Please note that people who want to use the spa facilities must be over 18 years old. Front reception registration was unreasonable wait for people in long queue - in some cases > hours. 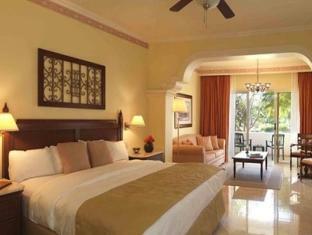 We have NEVER seen this at any resort/hotel we have stayed at; absolutely not acceptable for a resort like Gran Melia. This and long queue - ? System of asigning breakfast tables - to place families at breakfast, was another pinch point. The hotel is not well maintained. It was hot and there was no ice, the place is massive and you constantly have to wait on golf carts to get around, the spa is wayyyyy overpriced, the rooms look like they need renovating (whenever you can see open pipes and water damage in your room that's not good). We were told we had ocean front room and it was ocean view. The beach looks like 1 foot patch of sand with rocks and moss. Not a real beach at all. The breakfast was ok but nothing to write home about. The property tricks you into thinking it's so beautiful until you start to notice the small things that add up. By the way, we had red level which was supposed to mean we had a butler and didn't have to wait but we didn't see that butler again since check in. Even when they cleaned our room (around 5pm) they didn't leave any towels:( how unreal, the only thing positive is not waiting in a 2 hour line to check in because of red level. But then of course waiting in an hour line for breakfast no fun either. Nothing! The worst hotel that I have stayed at. I have traveled all over the world and this hotel was the worst hotel that I have ever stayed at. It was old and dirty but most important of all the service from the manager to the house keeping was awful. Please do not look at the star rating. It is definitely a 2 star hotel. We spend on this vacation and hated it.Everyone that we talked to had the same experience and did not like the hotel. Great. Room was quiet and private. The hotel itself was beautiful. Loved the red level upgrade. The hot tub on balcony could've been a bit bigger. Also it started to make a really loud noise after about 10 min. Poor. Got food poisoning at Avenue Bar with Sushi. Supervisors and Security did not attempt to offer credit adjustment for full night. We could not enjoy hotel next day during morning because I spent hours at bathroom throwing food away from my system. Supervisors did not offer anything and with minor things in other hotels managers always take good care of customers like me that we are always traveling. When you checked in, they must put wrist band in order to show you are hotel guest. they need to charge for the my little boy, who is only 3 years old, for the extra person. Food in the resort is really bad as well. we waited for 1 hour to get in the restaurant and another 1 hour and half for the main course. And need to wait for 20min for breakfast as well. Curb appeal was amazing however once in a room VERY disappointing. Arrived late due to east coast weather storms, no (free) transportation to and from airport provided by hotel, room assigned was not room requested and no rooms that were of equal or greater level were available, asked 3 times to be contacted by management - no contact made, arrived in room to find someone had alreay slept in the bed, at 2 am had to have housekeeping come to change sheets, no food available at this hour, red level not explained fully by staff, room was dirty ALWAYS - minimum done. we advise renting a car unless you want to stay within the resort all the time. it is very far away from anything and i heard taxis are expensive. we never ate in the facility, but with the car you can choose whatever you like with prices that are more than reasonable. i thing it is a great place also for children, but we didn't have any, so it is a feeling. The rooms! Large sized and well layout. The pool is beautiful but needs a facelift soon. So much potential to be even better maintained. We liked our room we stayed in. The service overall was good and professional. We were glad to have only stayed 2 nights as there were hardly any activities or entertainment offered to the guests! We were also disappointed about the lack of beach. Very quiet and somewhat secluded . Resort was VERY spread out . For myself it was fine because I love to walk . From bungalow to main hotel is a 6 minute walk outside . The entire main building is open to the elements . the breakfast buffet was excellent and free with the "red level" room. The other restaurants were not good . The fitness room was well equipped and available 24 hours . The private pool was fantastic . They offered private covered " beds" , also included with the red level . The red level was AbsoLutly the way to go. Private check in and out , free happy hour including food . we stayed there to play golf. the golf-courses nearby are amazing. thats the place to play golf ! the hotel clearly has seen better days. i would not go there again. the food is horrible, i think they tried to poison us. always went outside for lunch and dinner. Loved the service and the accomodations. The hotel staff is very kind and helpful. The beach is right across most rooms. The royal service pool is very nice and quite. The pool bar offers a variety of cocktails and the grill is ready to serve hot and juicy burgers and other entrees. The Nami Asian Bistro opens at 6 pm most days and the tepanyaki works for reservations every hour!!!! 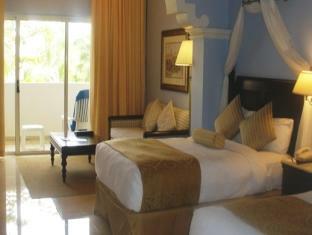 Nice room, great looking, the resort seem to be fully book, still you could enjoy privacy at the beach. Minor point, the restaurant prices & rental of parasol! Didn't have a fridge in the room. They even suggested renting a $25 cooler additionally, which I didn't. Self parking is $16 per night including tax. Had a so-so pool, but wasn't quite impressive. By the quick look at the map, I thought it would have a nice private beach, but unlike other nice hotels in the south-east asian resorts with similar price ranges, the coast felt just abandoned and was not well maintained. If you're thinking about swimming or snorkeling, forget about them. This is not the place. This is for the golfer's place. Breakfast was okay. Awesome pool, expctacular room and bathroom, great restaurants. Overall the hotel is amazing, had a great time, and a great dinner at Pasion. Love all the surroundings. This is a golf resort located 12 km (but 30-40 minutes) from San Juan. A taxi from the airport is $65-80. Once there, the hotel contracts with a "tour / shuttle" company for trips to town and the airport. The will not call a taxi for you. The pool is great, but the beach is not for swimming. The poolside bar has very limited hours. There is a dress code for going to and from the pool. They offer golf cart shuttles around the rather spread-out campus, but on at least occasions, they drove past us standing there, with empty carts, did not even ask us if we would like a ride. Twice, the hotel desk clerks promised to send someone to address problems we had, but they never arrived. 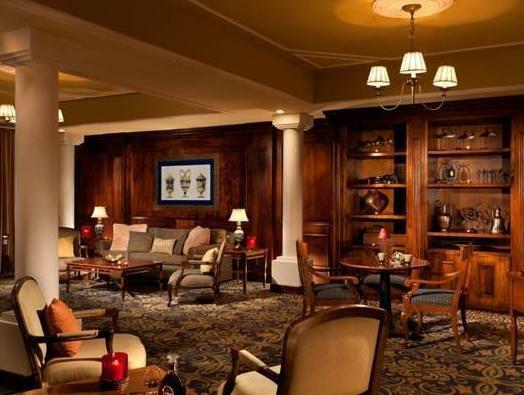 If you are going for golf and don' t plan to leave the resort, you will love it. Just be sure to take plenty of money. the restaurants are all resort pricing--no deals to be found. If you plan on doing anything else, rent a car from the airport. The ones available at the resort, are twice the price. Housekeeping didn' t understand that 2 people need 2 wash cloths, two towels and a bath mat each day. Something was missing each day and the floor was always dirty. 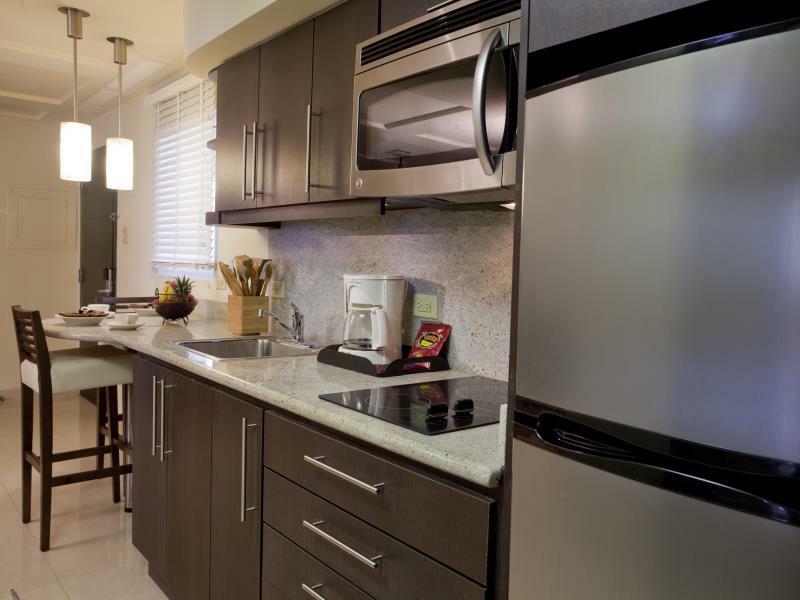 Beautiful property, beautiful rooms, beautiful landscaping, courteous and helpful staff . . . Exceptional hotel but it didn't feel quite luxury for the Red Level rooms. Restaurant very expensive, but good however each tea refill was a charge.Go to Bakery at corner of rt 3 for breakfast and lunch- a good value.Rent a car for travel to restaurants and sightseeing locations as they are quite a distance.The pool and grounds were lovely and well maintained.